Where are you from again? Regionalisms in Australian food. These are not scallops (not if you live in Victoria, anyway). Sir Winston Churchill once remarked that the Americans and the British were “divided by a common language”. He neatly identified both the expectation that because everyone spoke English they would understand each other, and the fact that they didn’t. Here in Australia, we expect to be able to travel from Perth to Cairns, from Melbourne to Darwin, without major linguistic misunderstandings. Mostly, this is the case. But not always. Take the case of the Western Australian woman who moved to New South Wales. She sent her locally born husband out with a shopping list that included “peanut paste”. “He had no idea what I meant and neither did the young shop assistant who thought I must mean satay sauce,” she said. 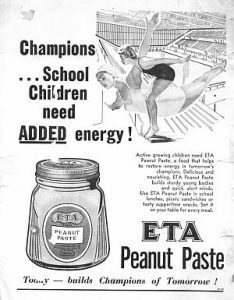 What she meant was known in New South Wales (and Victoria and Tasmania) as peanut butter. Or the Brisbanite who moved to Melbourne and ordered “scallops” at the local fish and chip shop. Expecting slices of potato dipped in batter and deep fried, he was astonished when he received shellfish – what he would have called Tasmanian scallops. And then there’s the ex-Melbournian who had to remind herself constantly that a pipe loaf was a tank loaf in Sydney. Many of these differences, these regionalisms, have been captured in a project that was conducted by the folks at the Macquarie Dictionary in conjunction with the ABC. People were asked to contribute words and phrases they thought might be distinctive to their own part of the country. Macquarie produced an online “word map” that lets you click on an area to reveal how English is spoken (or broken) in that particular part of our country. Of course, most of the regionalisms don’t relate to food. But quite a lot do. 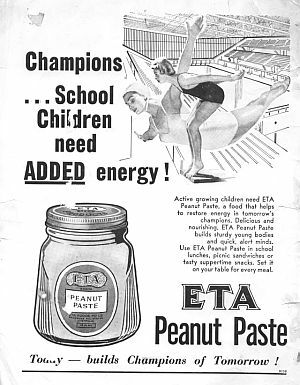 The peanut butter/peanut paste divide was created by government legislation in Queensland, Western Australia and South Australia. It appears that in the late 1920s or early 1930s, the powerful dairy industry took objection to the term “butter” being applied to anything other than the dairy kind. Governments in these three states bowed to the pressure, with the result that manufacturers had to label their product differently for those markets. These days it’s peanut butter everywhere, but many people cling to the “paste” they grew up with. It’s not clear why Melbourne’s “potato cakes” are everyone else’s “scallops”. 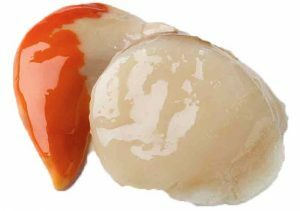 Perhaps sea scallops have always been more readily available on the shores of Bass Strait than they were further north. (On the other hand, we southerners probably don’t have the same close relationship with prawns as the Sydneysiders; digging prawns out of a paper-wrapped parcel is something I’ve never seen happen in Melbourne.) At any rate, down here a scallop (as seen at left) is animal, not vegetable. “Potato scallops” is a sort of middle ground and would probably work everywhere, except maybe in South Australia where they’re potato fritters. 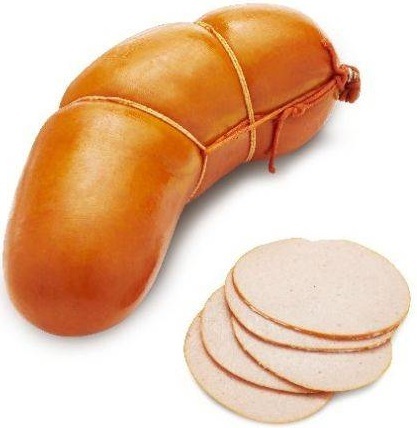 More regionalisms – Polony, Fritz, Belgium or Pork German? Now let’s talk luncheon meat. In Western Australia, it’s polony, perhaps a corruption of bologna, also called baloney in the USA. This is, in itself, a mass-produced derivative of the traditional sausage of Bologna, Italy, which is actually called mortadella. The Huffington Post says of commercial bologna: “Companies that produce bologna tend be very cagey about their ingredient list, since the “trimmings” that go into it occasionally come from parts of the animal that make people want to faint”. Anyway, polony. But mostly just in WA. In South Australia, it’s Fritz. Or, at its most authentic, Bung Fritz, which means luncheon meat encased in a piece of sheep’s intestine rather than in a manufactured sausage casing. In New South Wales it’s called Devon, in parts of Queensland, Windsor Sausage. In Tasmania, it’s generally Belgium – a variant that may have been imported from New Zealand. The origins of the product itself are probably German, as many of the names suggest. When I was growing up in Melbourne my mother always called it Pork German although we also got to know it as “Stras”, short for Strasburg. Other titles include (according to the Macquarie) German sausage, Luncheon, Byron Sausage, Empire Sausage, and wheel meat. Some of the more jingoistic variants such as Windsor and Empire date back to wartime days, when all things German were deemed unpatriotic. Belgium replaced German in Tasmania for the same reason. The Western Australians have other food terms that are all their own. That choc-dipped icecream you enjoy when you go to the movies – a Choc Top to the rest of Australia – is a Choc Bomb in the west. And instead of a cheese toastie, you ask for a cheese grill. This latter item was evidently popular tuck-shop fare and consisted of something like a hot dog roll, cut in half, covered with cheese and grilled until the cheese melted. South Australia, too, has its own specialities. 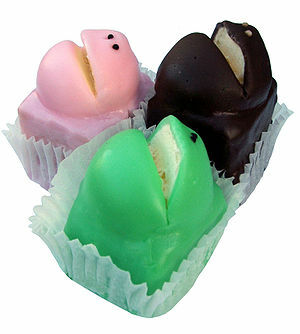 Leaving aside the infamous pie floater, SA gives us frog cakes and Kitchener Buns (a kind of doughnut with no hole and a jam and cream filling). 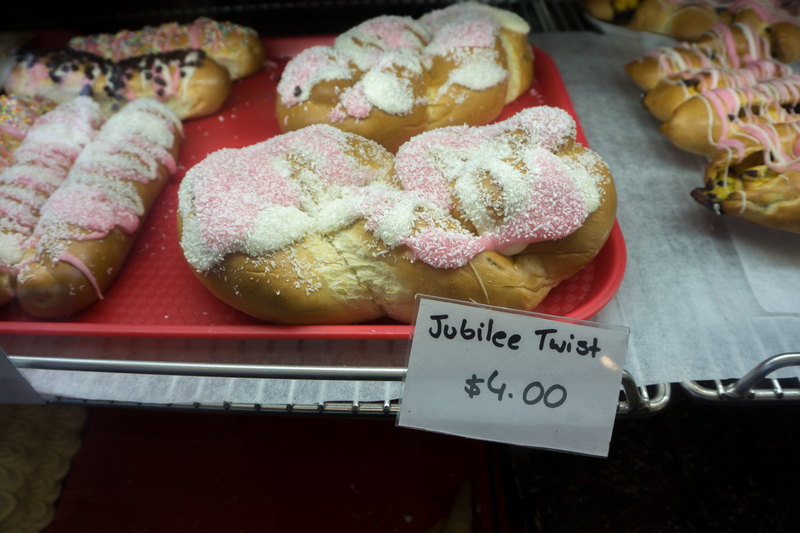 The Kitchener Bun used to be a Berliner, before another wartime name change. In SA they also call doner kebabs yiros (or yeeros), a re-spelling of the Greek “gyros”. In Melbourne, we have kebabs but, more commonly, souvlaki. If you’re not from Queensland, you would no doubt be flummoxed if someone started talking about enjoying a “By Jingo”. This term came from the brand name of a locally distributed icy pole, possibly distributed by the “by jingo man” – a predecessor of Mr Whippy. It seems to have been common in North Queensland, although there’s at least one report of By Jingos being spotted in Brisbane. When that was, who knows? But wait, there’s more. There’s the cantaloupe/rockmelon divide. The battered sav versus the Dippy Dog versus the Pluto Pup. Or, if you’re at Queensland’s Ekka (the local equivalent of the Royal Show), the Dagwood Dog. Various bakery items known as Coffee Scrolls, Chelsea Buns, Boston Buns and Jubilee Twists all seem to have their own particular jurisdictions. And then there are the corned beef fritters known in the Northern Territory as Burdekin duck. Fortunately a pie and sauce is a pie and sauce wherever you go. So if you stick with the true classics you’re unlikely to go wrong. Even in Adelaide…just hold the peas please.